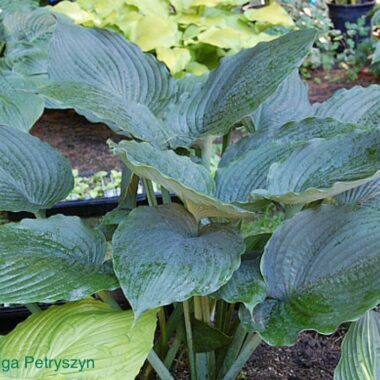 Very Large: A giant blue-green hosta. Grows 60″ wide by 3″ tall in 12 years. 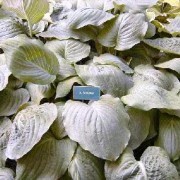 Largest leaves are 15-16″ wide x 18-19″ long. Very puckered and crimped leaves above with elevated bumps of crimping between the recessed veins above. Much bloom above and below. 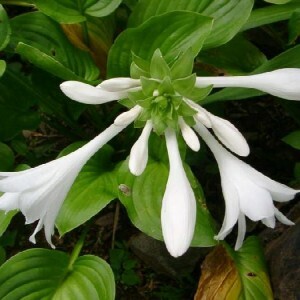 White flowers in July grow on scape only slightly abov the foliage mound. 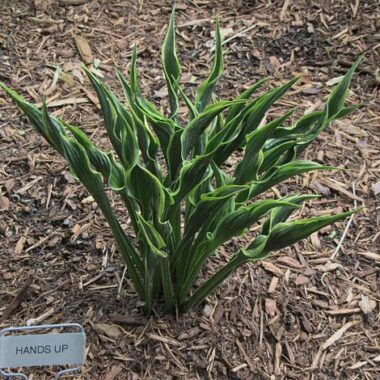 Makes an excellent specimen hosta. 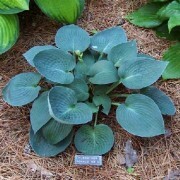 American King of the Woods’ Hosta is a giant blue-green hosta. 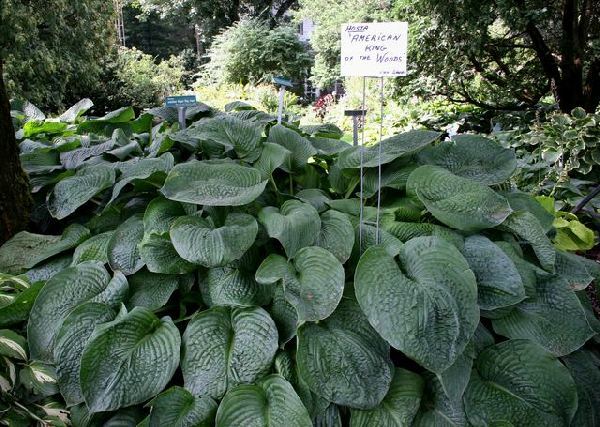 Grows 60″ wide by 3″ tall in 12 years. 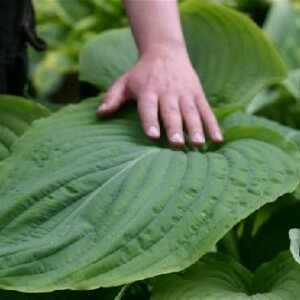 Largest leaves are 15-16″ wide x 18-19″ long. 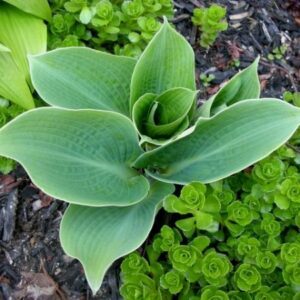 Very puckered and crimped leaves above with elevated bumps of crimping between the recessed veins above. Much bloom above and below. White flowers in July grow on scape only slightly above the foliage mound. 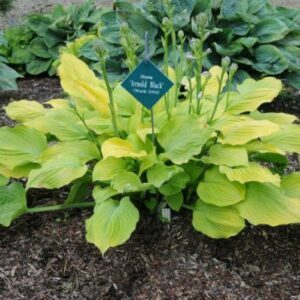 Makes an excellent specimen hosta.